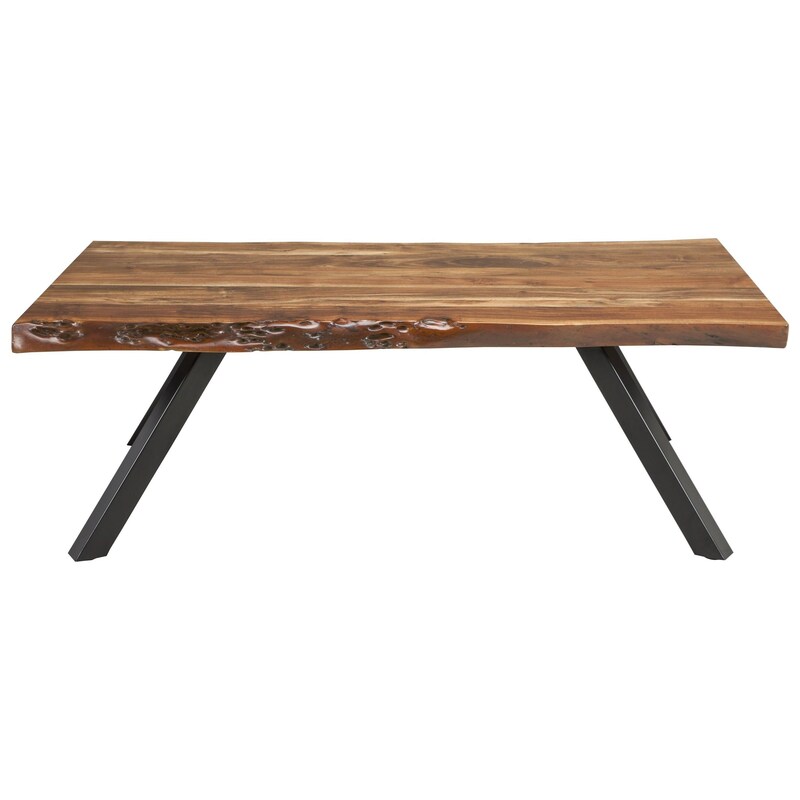 Featuring a unique live edge solid acacia table top, this coffee table adds one-of-a-kind rustic character to any living room. The splayed metal base adds modern industrial appeal, while the table top is defined by nicks, knots, and other natural wood variations for a truly unique piece. The Reese Coffee Table by Modus International at HomeWorld Furniture in the Hawaii, Oahu, Hilo, Kona, Maui area. Product availability may vary. Contact us for the most current availability on this product. Case Construction Solid acacia wood tops with iron bases. Capture urban rustic style in your own home with the Reese's collection of live edge accent and dining tables. Each table is handmade by skilled artisans in India with natural solid acacia wood tops and iron bases. Natural live edges, knots, cracks, and grain variations in the wood ensure that each piece is truly unique for a rustic, one-of-a-kind piece. The Reese collection is a great option if you are looking for Rustic Industrial furniture in the Hawaii, Oahu, Hilo, Kona, Maui area. Browse other items in the Reese collection from HomeWorld Furniture in the Hawaii, Oahu, Hilo, Kona, Maui area.